Hundreds of thousands of pieces of plastic waste swim in every square kilometre of the world's oceans. More than 660 animal species are directly affected by this catastrophe. Every year about one million seabirds and one hundred thousand marine mammals die. If we do nothing about it, more plastic will swim in the oceans than fish in 2050. The complete decomposition of plastic will take 350 to 400 years. Until then, it will only decompose into ever smaller particles. Politicians, industry and consumers must act together to stop the littering process. One thing is clear: the plastic can no longer be fished out. We must finally start to produce and consume less of it! 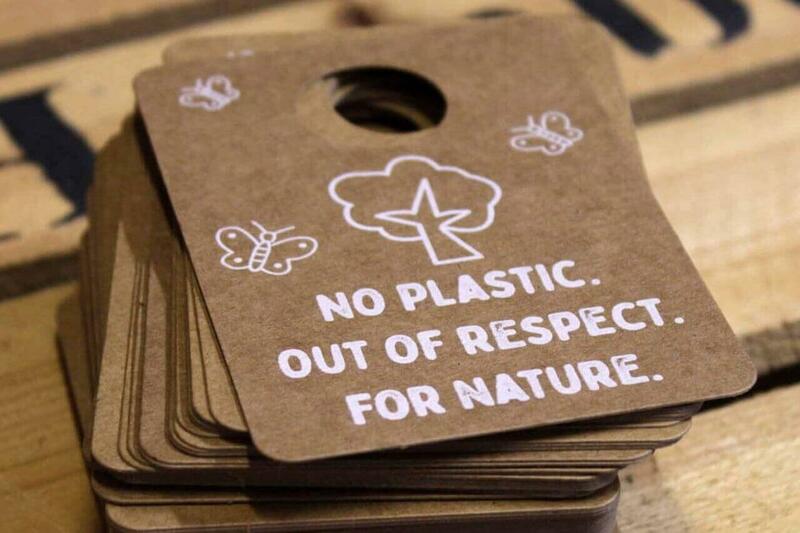 That's what we at Pack & Smooch say to ourselves: from now on we will no longer pack our products in plastic! Our new signboard is called: "No plastic. Out of respect. For Nature." A motto that we will literally hang on all our articles in the future. Responsible treatment of the environment and its resources: We want to measure ourselves even more rigorously against this claim in the future. And that's why we not only think ahead when it comes to packaging, but also when it comes to manufacturing our products. Due to the constantly increasing worldwide demand for wool felt produced in Germany - for interior design, fashion and the textile industry, among others - the high "standard quality" fluctuates more and more frequently due to production. These fluctuations can be seen in thickness and haptics, but also in colour differences. This is not compatible with our quality philosophy. Therefore, we have now created our own wool felt blend. Normally, the wool is shaved after the felting process to remove protruding hair. This makes conventional wool felt feel slightly scratchy. But we want it to be nice and fluffy. Together with our German supplier, we had a special wool mixture produced in a complex procedure and after several test blends. What does all this have to do with sustainability? With this step, we want to build on the excellent quality of the past, when global industrial demand was not yet so high. The manufacture of our products is a craft - not a cheap mass production. We attach as much importance to the wool felt quality and feel as to the processing of the products themselves: in the sense of clean seams and perfectly cut edges. Our articles are of the highest quality and last longer - an expression of our and your style and environmental awareness.